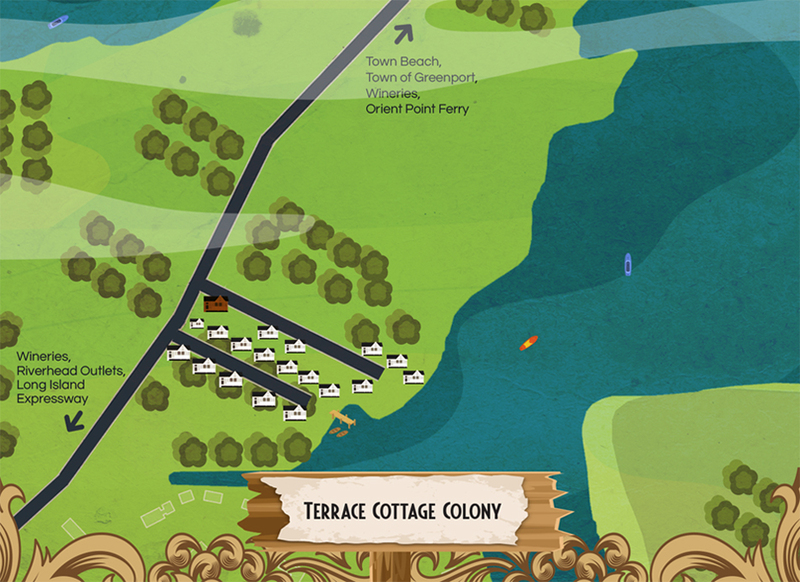 What is Terrace Cottage Colony? 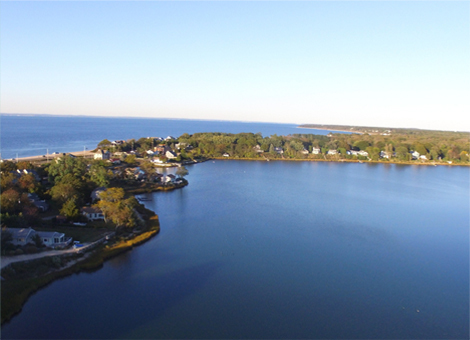 Our cottages are located on the shores of Arshamomaque Creek in Southold, NY. Whether your stay with us is for one week, one month or the full season, our cottages are the perfect escape. Pull up a chair, sit on your porch and feel the stress melt away! 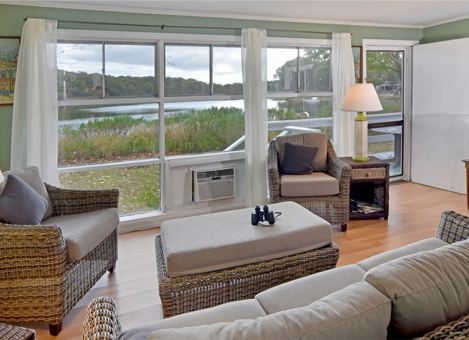 Our spacious one or two bedroom cottages offer a beautiful view of the water and all the nature surrounding it. 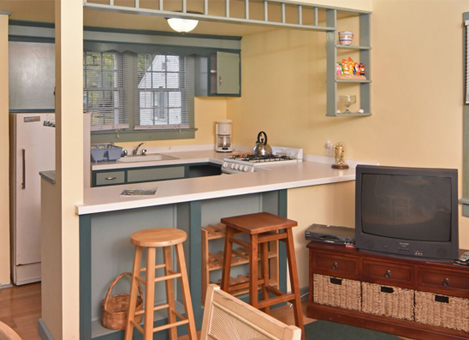 Each cottage has cable tv, air conditioners, full kitchen with basic kitchenware, dinnerware and a screened in porch…for your viewing pleasure! Each cottage provides a living room/full kitchen combination with a private bathroom. Twin, full size or bunkbeds provided. We also provide fresh linens and towels. 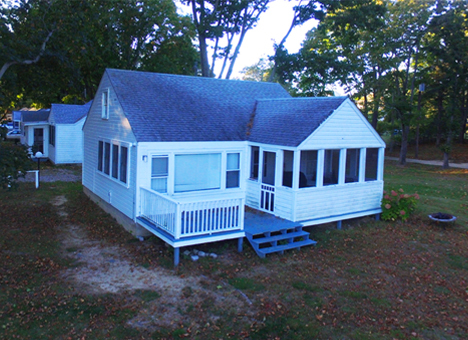 Southold Public Beach is a quick two block walk from your cottage. Terrace Cottage Colony is in very close proximity to some of the finest vineyards in the country. Try a wine crawl through some of the North Fork’s finest wineries. No matter the time of year, there is always something to do on the North Fork. Have a kayak, canoe, or small boat? Bring it along. Start your day with a peaceful morning sail in our beautiful creek. If you like to fish, bring your gear and try one of the North forks many fishing spots. At the end of the day grab a fine bottle of wine and relax on your porch while you fire up the bbq. Begin to plan day two…or not. Call 631-765-2388 and book your reservation at Terrace Cottage Colony today. • The creek is perfect if you have a canoe, kayak or small boat. 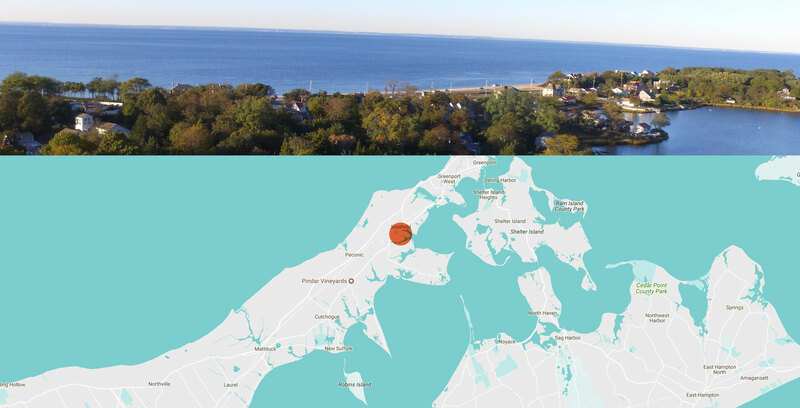 • Southold Town Public Beach with a lifeguard is just a two block walk away. • Each cottage has cable TV, AC and a screened in porch. • All cottages have a combination living/dining room, kitchen and bathroom. • Basic kitchenware provided: flatware, dishes, pots, pans, coffee maker and toaster. • Completely furnished with either twins, full-size or bunk beds, towels and linens provided. • Wireless Internet and BBQ grills are available on the property. • Fishing, golfing, vineyards, ferries to CT are all close by.